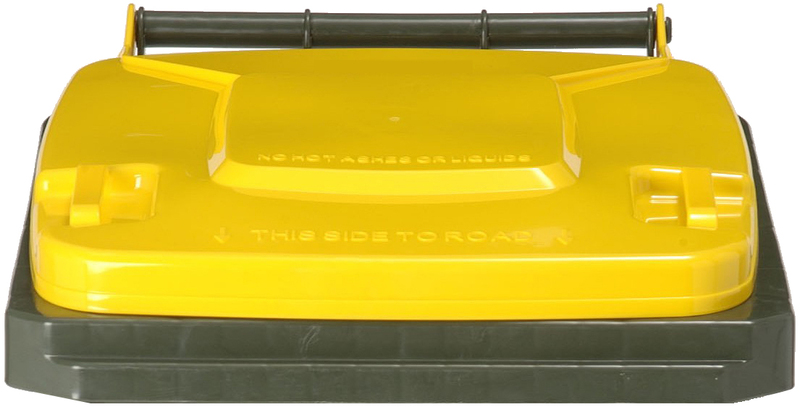 Using your kerbside recycling bin is a great way to save resources, water and energy. The key to its success is ensuring that only the right items are placed in the recycling bin. TIP:1 No nappies in the RECYCLING BIN. All nappies must go in the WASTE BIN only. TIP:2 Pizza boxes without food scraps can go in the RECYCLING BIN. Food scraps can spoil recyclable materials so ensure all food remnants are removed before recycling. Very greasy pizza boxes can go in the GREEN BIN. TIP:3 Give bottles and jars a quick rinse before placing in the RECYCLING BIN. To save water, rinse your recyclables after washing the dishes. TIP:4 No crockery, oven-proof glass or drinking glasses in the RECYCLING BIN. These items should be wrapped and placed in your WASTE BIN. TIP:5 No clothing or fabric in the RECYCLING BIN. If it’s in good condition donate it to a local charity otherwise place in your WASTE BIN. TIP:6 Don’t put your recyclables in a plastic bag. Place recyclable items loose into the RECYCLING BIN. TIP:7 Empty, dry paint tins can go in the RECYCLING BIN. However if tins contain paint, dispose of at the Household Hazardous Waste Depot, or at a Household Hazardous Waste Collection near you. TIP:8 No polystyrene foam in the RECYCLING BIN. Polystyrene foam packaging (including foam meat trays and cups) goes in the WASTE BIN. Go to the RECYCLE RIGHT search engine page https://www.recycleright.sa.gov.au/ where you will find details specific to your council. Alternatively you could call 1300 137 118. You will also find tips on what to do with items that cannot be placed in your kerbside bins, such as oils, e-waste, light globes and household chemicals. Some of these disposal services are free. South Australians are excellent recyclers but to ensure we recycle as much as we can, we need to Recycle Right. Does the triangular symbol on plastic containers with numbers mean it’s recyclable? No. The triangle with a number from 1 to 7 is not a recycling symbol but rather a Plastic Identification Code. It only tells manufacturers what type of plastic the item is made from but not if it is recyclable. For more information, Recycle Right has a comprehensive guide to plastics displaying the Plastics Identification Code. Go to recycleright.com.au/what-do-the-numbers-on-plasticmean? So what plastics can be recycled in your kerbside recycling bin? Rigid plastic bottles and containers that hold their own shape, including plastic soft drink and milk bottles and take-away containers. Just make sure they are rinsed and have the lids removed. What happens to all the stuff we put in our recycling bins? Your recyclables are taken to a Material Recovery Facility (MRF) where a combination of people and machinery sort your recyclables ready for reprocessing. Why it’s important to Recycle Right? Placing incorrect items in your recycling bin contaminates recyclable material, increases recycling costs, puts workers in recycling facilities at risk and can damage recycling machinery. Contaminants such as plastic bags and foam trays have to be removed from the recyclables and sent to landfill but along the way can create havoc with MRF machinery. Unfortunately some contaminants such as food and drink remnants can ruin recyclable material, resulting in this material being sent to landfill. Recycling helps to save resources, water and energy. water savings equivalent to the water used by 63,300 average Adelaide households in one year, or the water contained in 4,800 Olympic-sized swimming pools. Making a metal can from recycled materials rather than from bauxite saves up to 95% of energy. Recycling glass saves 75% of the energy it would take to make glass from raw materials. The energy saved by recycling one plastic bottle will power a computer for 25 minutes. All statistics sourced from fact sheets at www.cleanup.org.au. So with a little extra effort we can all ensure we Recycle Right.